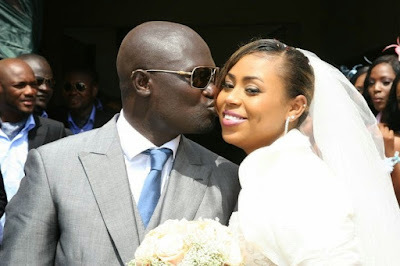 Warri billionaire Ayiri Emami and his wife, Asba are celebrating their 7th wedding anniversary today, Dec. 26th. The couple got married in a star studded wedding on 26th December, 2009 and are blessed with two kids. Happy Anniversary to us❤️" My Lover..
Our Life together gets better & better.....I love u sooo.... much...Happy Anniversary My Love💋💋💋💋"